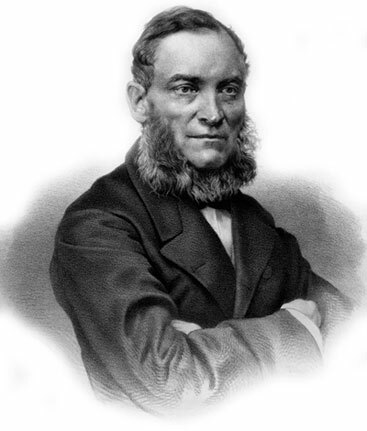 Viktor Yakovych Bunyakovsky (Віктор Якович Буняковский) (1804-1888) was a famous Russian mathematician, member and later vice-president of the Petersburg Academy of Sciences. He made significant contributions in the areas of number theory and probability theory, and is credited with an early discovery of the Cauchy-Schwarz inequality. 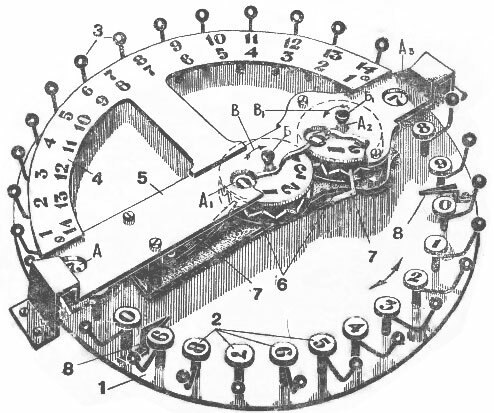 Bunyakovsky was a good mechanic also, and he invented several devices like planimeter, pantograph, etc. Bunyakovsky was interested in calculating devices since 1828, when he wrote a review for the type of abacus, made by the mathematician general Svobodsky (Федор Михайлович Свободский). Bunyakovsky paid particular attention to the problem of tens carry, and had the intention of creating a device, resolving this problem. 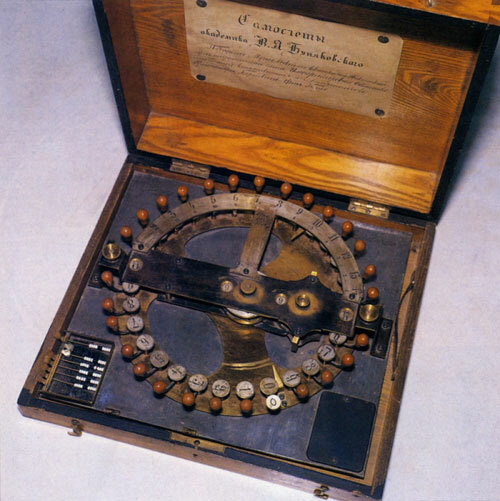 Thus in the middle 1860s Bunyakovsky invented a calculating device (so called самосчеты, automated abacus), which was demonstrated to the Academy on 14 February, 1867. It seems only one (the original prototype) was made, preserved now in the collection of Polytechnic Museum in Moscow (see the image below). 1 — A metal circle, freely rotating around its axis (with 3 fixed teeth, marked with 8). 2 — Results digits (0-9, repeated 3 times). 3 — Rods with spherical handles (mounted together with the digits (2)), and used for rotating of the disk (1). 4 — Fixed arcuate plank with two numerical rows. Outer row is used during the addition, inner row—during the subtraction. 5 — Plank with result windows (A1, A2, A3), control window (A) and buttons of digital disks (Б, Б1). 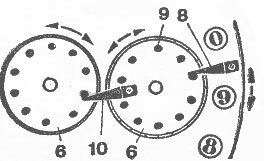 7 — Fixing mechanism (a spring). 6 — Digital disks for tens (right) and hundreds (left). 8 — Three teeth, fixed on the metal circle, rotating around its axis, for carrying to tens disk. 9 — Column openings (contacting with teeth for tens carry). 10 — A tooth, fixed on the disk for tens, for carrying to hundreds disk. The capacity of device is quite limited—the input numbers are limited to 14, while the result is limited to 999. The device is also lacking a mechanism to avoid the mechanical inertia of the moving parts. Bunyakovsky used his abacus for some scientific calculations, but it seems nobody else had used the device. It exists although an improved version of the device (2 devices survived), which have been used for some time.